Home / All TV Shows / Democracy Now! When will be Democracy Now! next episode air date? Is Democracy Now! renewed or cancelled? Where to countdown Democracy Now! air dates? Is Democracy Now! worth watching? Democracy Now! is a national, daily, independent, award-winning news program hosted by journalists Amy Goodman and Juan Gonzalez. Pioneering the largest public media collaboration in the U.S., Democracy Now! is broadcast on Pacifica, NPR, community, and college radio stations; on public access, PBS, satellite television (DISH network: Free Speech TV ch. 9415 and Link TV ch. 9410; DIRECTV: Free Speech TV ch. 348 and Link TV ch. 375); and on the internet. DN! 's podcast is one of the most popular on the web.Democracy Now! 's War and Peace Report provides our audience with access to people and perspectives rarely heard in the U.S.corporate-sponsored media, including independent and international journalists, ordinary people from around the world who are directly affected by U.S. foreign policy, grassroots leaders and peace activists, artists, academics and independent analysts. In addition, Democracy Now! hosts real debates–debates between people who substantially disagree, such as between the White House or the Pentagon spokespeople on the one hand, and grassroots activists on the other. Democracy Now! next episode air date provides TVMaze for you. 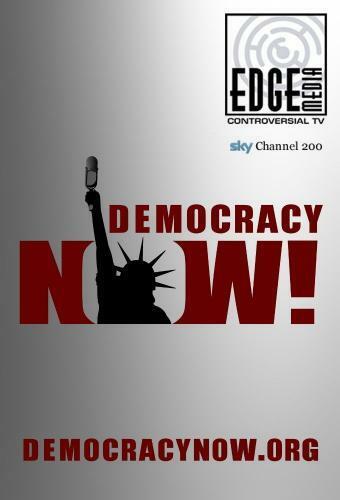 EpisoDate.com is your TV show guide to Countdown Democracy Now! Episode Air Dates and to stay in touch with Democracy Now! next episode Air Date and your others favorite TV Shows. Add the shows you like to a "Watchlist" and let the site take it from there.